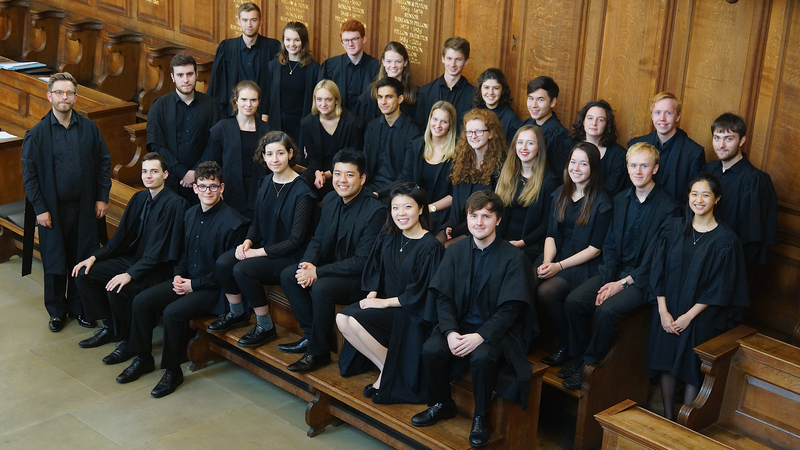 The College Choir will tour Mumbai and Goa this month, singing at venues ranging from a Bollywood studio to a Catholic church and working with disadvantaged children on collaborative music projects. It will be the first time that an Oxford University choir has performed in India. Singing a mix of classical music, Christmas carols and folk songs, the student choir will perform at the 1,010-seat Tata Theatre at the National Centre for the Performing Arts in Mumbai; the opening of the Times LitFest – the Times of India’s celebration of literature – at the Mehboob Studio in Mumbai; and the Church of St Francis of Assisi in Goa. The focus of their tour is on charitable work as much as public performance. The choir will join forces with two charities – Songbound and the Karta Initiative – during their visit. Songbound, established in 2012, is an initiative that works with poor communities to set up and sustain children’s choirs. The Somerville students will teach the children new songs and learn a few from them in return. They will also give the children a chance to hear the Oxford choral tradition up close with a special informal performance of some of their repertoire. The choir will also participate in workshops with the Karta Initiative, a charity that supports high-potential students from disadvantaged backgrounds in developing economies, helping them through widening access to world-class opportunities. Members of the Somerville Choir will talk about their subjects of study and university life to children from villages around Mumbai. 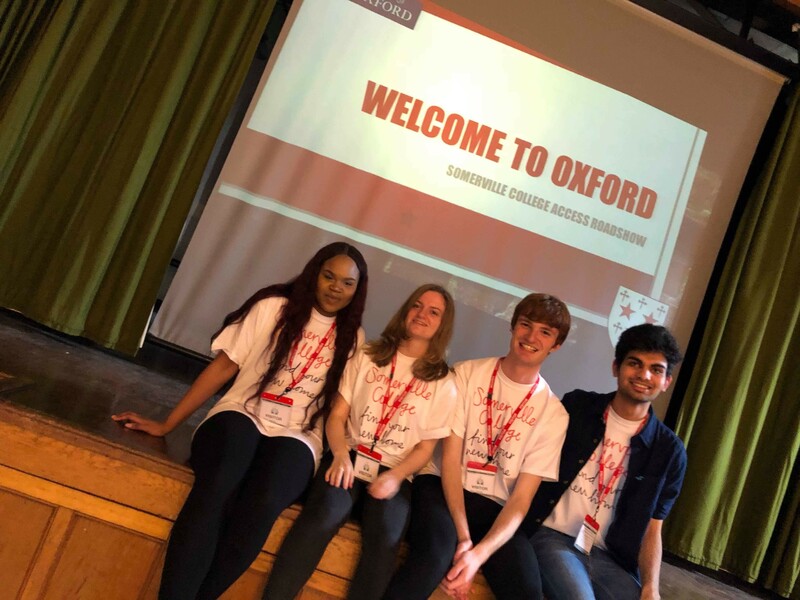 Somerville tutors and staff will bring the Oxford University experience directly to the children by giving talks on subjects including history and biochemistry. The choir, which has previously given concerts in Germany, Italy and the US, consists of 30 singers, both men and women, most of whom are current students of Somerville. Somerville’s chapel, where the choir usually performs, is non-denominational. The choir is therefore able to perform secular music and songs from other faiths there, as well as Christian religious works. The programme for India will include music by Giovanni Pierluigi da Palestrina, Edward Elgar and Cecilia McDowall and folk songs including Shenandoah, as well as classic carols such as Away in a Manger. The choir raised funds for the tour through generous philanthropy from the college’s benefactors and alumni in India and the UK, and through crowdfunding. This has made it possible for all the singers to take part, regardless of their financial circumstances. Somerville College has significant past and present links to India. College alumni include Cornelia Sorabji, who was born in India and became the first woman to study law at Oxford, sitting her BCL exams in 1892. Indira Gandhi also studied at Somerville. It now hosts the Oxford India Centre for Sustainable Development, which provides scholarships for exceptional Indian students and carries out research on sustainable development challenges facing the world’s fastest-growing major economy. “It is an honour to be the first Oxford University choir to sing in India. We are especially proud to represent Somerville and to honour the college’s historic and ongoing connection to this country. “We are privileged to be performing in some of India’s most prestigious venues, but we are even more excited about the opportunity to reach communities far less fortunate than our own.